1st Call Gas – fast, reliable, local. TRIED & TRUSTED IN SHEFFIELD, SINCE 2005. 1st Call Gas are fully qualified and accredited gas, plumbing and central heating engineers, based in Sheffield, South Yorkshire. We pride ourselves on providing excellent customer service, maintaining client relationships and offering expert advice for all your requirements, and at a truly competitive price. We guarantee competitive prices and high quality workmanship. Whether it’s bathroom design & installation, boiler repair & servicing, gas fire & cooker installation, central heating services or anything else gas, plumbing or heating related for your home, call us today, and find out why we’re ahead of our competition in Sheffield and beyond. Our maintenance plans start at just £7 per month. All our plans are popular with our clients, as each plan is competitively priced, to suit all needs and budgets. Features include; No unexpected or expensive boiler repair bills, fast & efficient service, no call out charge, payments spread over 12 months. Don't wait until your central heating system breaks down. We will install a condensing combi-boiler to keep your home and family warm. Quickest, most efficient service out there! They found a solution very quickly after our boiler packed in during the very cold spell. Because our boiler is in the cellar, they had to source a solution that was part domestic, part industrial and create the system from Vaillant. Top notch service from the company that has looked after us for over 10 years! Well done guys! Great workmanship from the guys at 1st Call Gas. We have used them on a commercial project in Sheffield town centre. They have carried out all plumbing works from the 1st fix stage right through to completion of a 6 story high student complex. Professional team that know the trade, would highly recommend. Our old boiler recently gave up hope so we had no hot water, we called this company who came out and was very friendly. They gave us a quote for a brand new boiler and we also asked them to move and fit 3 new radiators. I would definitely recommend this company. A very friendly and professional team! Great, friendly service. Communication was great turned up when they said they would, were courteous throughout, did a first class boiler install and left the place tidier than they found it! would highly recommend! 1st Call Gas installed and connected various appliances as part of the development of our home extension. Received a very thorough and professional service. Highly recommend and would definitely use again. Thank you. 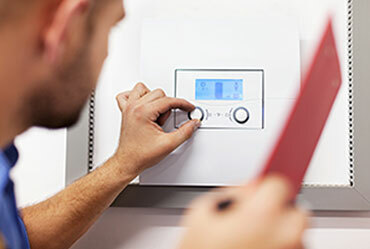 Having a fully functioning boiler is essential to any home. 1st Call Gas can help and advise you on all your boiler and central heating requirements for your home. If you need a gas fire, then look no further than 1st Call Gas Services. All our engineers are Gas Safe registered and will only offer you the best advice, deals and installation service. Escape your hectic lifestyle and relax in a well-designed bathroom. At 1st Call Gas our qualified engineers ensure the design and installation process is smooth and efficient for our customers.